Why would I need self storage in Anaheim, CA? There are a variety of reasons why you might need self-storage in Anaheim, CA. How much is a storage unit in Anaheim, CA? The cheapest storage unit in Anaheim, CA is $38.00 per month. What size storage units do you have available in Anaheim, CA? In Anaheim, CA we have sizes that range from 4'x4' to 20'x25' to suit your storage needs. How much is it for a 4'x4' storage unit in Anaheim, CA? The cheapest 4'x4' storage unit in Anaheim, CA is $38.00 per month. Anaheim is a city in the Greater Los Angeles area, and it is one of California's most popular tourist destinations. It's home to the world-famous Disneyland Resort and Disney California Adventure theme parks, which fuel an extremely vibrant tourism industry. The city has a diverse population drawn here by the active job market, moderate climate and easy access to a range of amenities. Anaheim was originally settled in 1857 by a handful of German families that had traveled from San Francisco in search of land to farm. The settlers formed the Anaheim Vineyard Company, which was the beginning of a prosperous winemaking industry. Eventually, citrus and other produce became major cash crops for Anaheim, and it remained a largely rural, agricultural town until the 1950s. In 1954, Walt Disney broke ground for his world-famous theme park, transforming Anaheim into an international tourist destination. The population multiplied near 10 times in a decade, and the city's economy was strengthened. Today, tourism remains the cornerstone of Anaheim's economy, supported by the addition of several new attractions, including Disney California Adventure Park, the Honda Center and Angel Stadium. Anaheim Hills area is in eastern Anaheim, and it is a large planned community made up of a variety of different small neighborhoods and communities. It's also home to an active golf scene, with the local Anaheim Hills Golf Course offering special activities like parent-child tournaments. Formerly an industrial and commercial district, the Platinum Triangle is being redesigned as a center for urban living and entertainment. Angel Stadium and Honda Stadium are two of the neighborhood's anchor points, and nearby loft apartments provide easy access to the area's amenities. 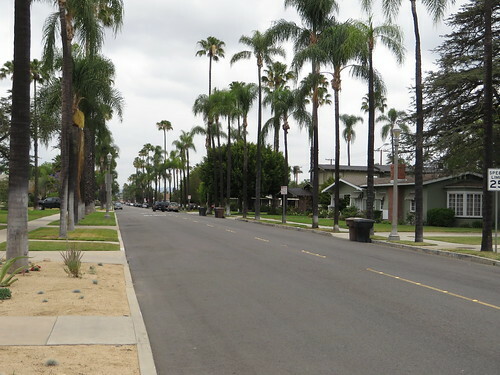 Anaheim Colony is the largest historic district in the city, with boundaries that were established by the original German settlement of 1857. Today, many historic homes are dotted throughout the area, and it has the locally-famous Wohlgemuth House Cactus, a four-ton cactus that's been alive for over half a century. The Anaheim Resort is actually the city's main entertainment and tourism district, not simply a single resort as the name suggests. This district is the site of both Disney theme parks, several large resort hotels and a variety of shopping and dining options. Anaheim is the home of two major sports teams and hosts professional sporting events at both the Angel Stadium of Anaheim and the Honda Center. 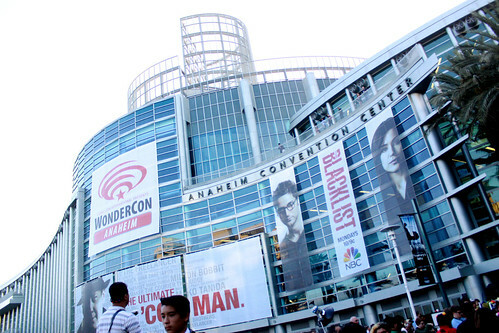 The city is also the site of the Anaheim Convention Center, the largest convention center on the West Coast and the setting for many large city events. The Anaheim GardenWalk, part of the Anaheim Resort, has a large variety of retail stores, entertainment and restaurants used by tourists and locals alike. It's also home to Art on the Walk, a recurring public art event that exhibits works of a number of local artists. If you enjoy an active lifestyle, you can enjoy hiking among the woodlands and canyons of the Oak Canyon Nature Center or biking along the Santa Ana River Trail. Anaheim's proximity to the ocean makes it easy to enjoy water sports and relax on Orange County's beaches. The public schools of Anaheim have several districts, and there are also several private school options. If you're planning to send your child to an Anaheim private school, you can choose from both secular and faith-based institutions. There are a handful of public universities located in Anaheim, including Anaheim University and the Southern California Institute of Technology. The North Orange County Community College District provides two-year degree programs. Utilities: Anaheim Public Utilities manages all major utilities, including electricity, water and sewer services. Garbage and Recycling: Anaheim provides regular curbside collection of trash and recycling, and you can also request large bins for yard or construction debris. Transportation: Local bus service is available throughout Anaheim. Shuttles are also provided between the more popular tourist destinations in the area. The median home and rent prices in Anaheim are higher than the national average, but there is a wide range of options to choose from. Whether you're looking for a single-family home or something in a multi-family community, you'll be able to find something that fits your needs. Our lowest priced units in Anaheim, CA average $64.00 per month. 1314 people have reserved units in Anaheim, CA in the past 30 days. There are 18 locations within Anaheim, CA's city limits. There are 9 locations in Anaheim, CA that offer AC and Heating features.